A report published in Britain has claimed that ‘wind power is expensive and yet is not effective in cutting CO2 emissions’ and that ‘there is no economic case for wind-power’. The report has been the jumping-off point for sensationalist articles in UK media claiming that wind power is ‘unreliable and requires conventional back-up capacity’ by conventional gas-fired generation, which can emit more CO2 than the most effective gas turbines running alone, and even headlines like “Wind farms cause greater pollution”. The report, entitled ‘Electricity costs: the folly of wind power’, produced by Civitas, has been roundly criticised for inaccuracy, non-peer-reviewed and biased research, and failing to understand how a modern electricity grid works. The report is based on research by Colin Gibson. 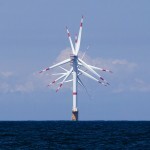 According to RenewableUK, he makes assumptions that “significantly inflate the cost of energy from wind”. Also cited is Dutch physicist Dr. Kees le Pair, a long-time critic of the wind industry and author whose work is not peer-reviewed. The report is written by Ruth Lea, a “prominent critic of climate policies (particularly the promotion of renewables)”, according to the Guardian. 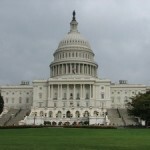 The US wind power industry begins 2012 waiting to see if American politicians will decide early in a national election year to extend the Production Tax Credit (PTC) which is worth billions in wind energy investments and tens of thousands of new jobs. According to the American Wind Energy Association (AWEA), policy makers should quickly extend the PTC, which is the US wind power sector’s main policy incentive, in order to replace the industry’s boom and bust cycles with long-term certainty. Lobbying for a multi-year extension to the PTC, which is currently to expire by the end of 2012, AWEA noted a new government incentive would allow the industry to continue creating employment opportunities and generating economic growth despite the ongoing financial crisis. 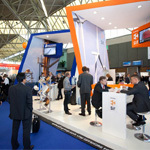 There were only a few Finnish stands at the EWEA OFFSHORE 2011 conference in Amsterdam, but several Finnish participants were listening to the interesting presentations, visiting the stands and meeting colleagues during the exhibition.